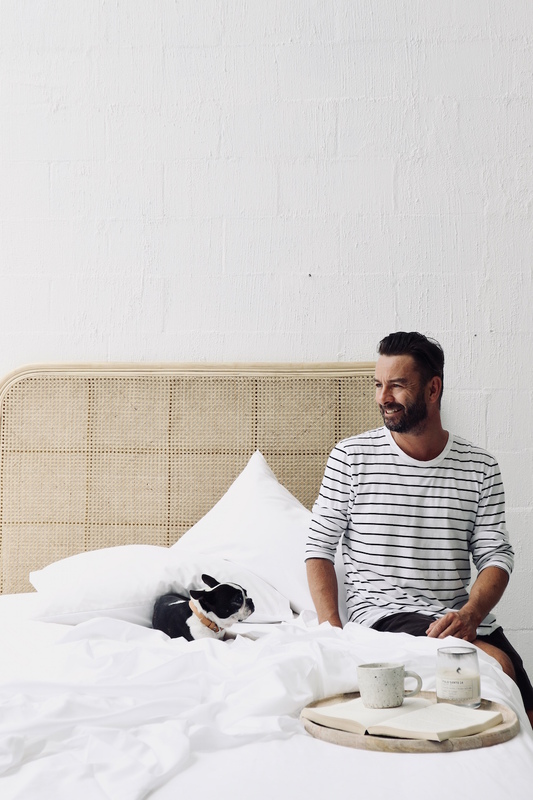 Australian interior stylist, author and all round creative, Byron Bay based Jason Grant, shares with us just how he likes his bed made, and everything on his bed side table right now. Paul Smith for Anglepoise lamp from Cult Design (one of my most favourite things in my home), Simple Watch Co watch, Le labo “Palo Santo” candle and a copy of Big Magic by Elizabeth Gilbert... I've read it over and over but always like to open up to a page for some inspiration. I usually wake to the morning sun, but I’m not really a morning person, so set an alarm on my phone. I get up and try to start the day with a 20 minute meditation, preferably before scrolling through Instagram and checking emails on my phone, (a bad habit). Then I walk my Boston terrier, Sophia, followed by coffee at McTavish, breakfast back at home (usually means peanut butter on toast or cereal of course by my friends from Byron Bay Muesli and Byron Bay Peanut Butter). Depending on my day I either hit my desk or head off to a photo shoot, no one work day is ever really the same. I am an interior stylist and a fan of a "lived in" bed, though there's a fine line between messy and lived in! Of course I love to style up my bed and generally have a simple “man style” bed. Never too many cushions, keeping things simple makes for an easy bed to make. Jason Grant features our Eucalyptus Bedding in Ghost White. 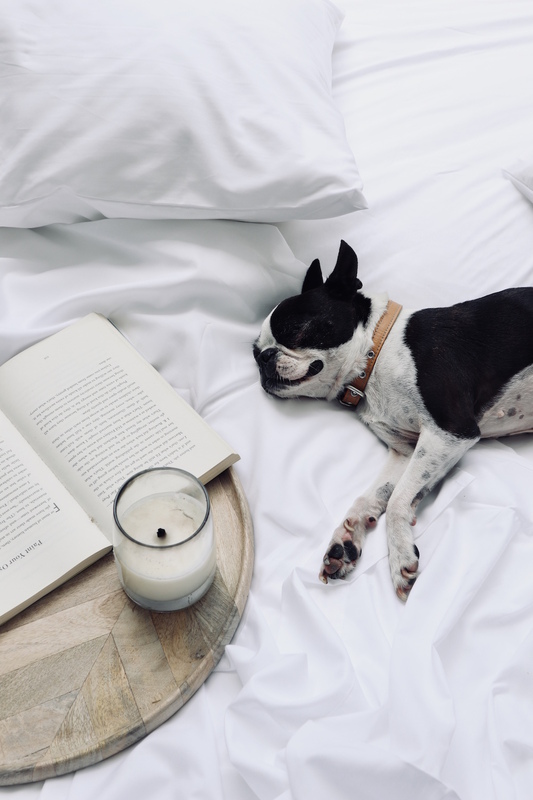 Read more about the inspiration and benefits of Eucalyptus here and see how New York based creative, Christie Tyler styles the sheets in Sand here.